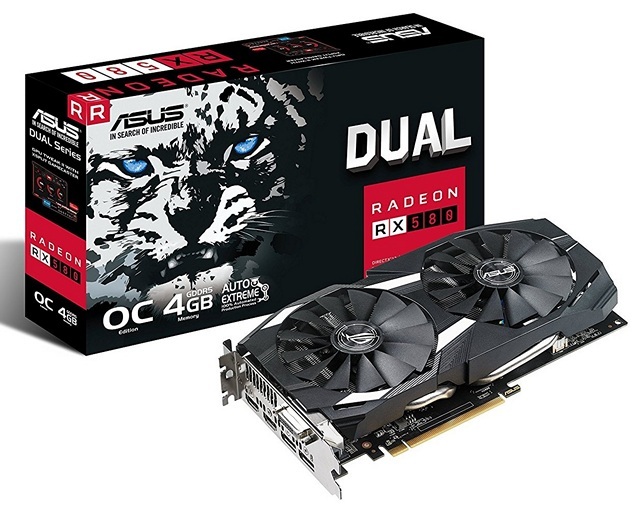 The Radeon R9 295×2 is a dual-GPU video card that was initially released over three years ago, in APril 2014. However, it continues to remain a favorite of the Ether mining community because it has a stunning hash rate of between 46 MH/s to 57.6 MH/s, which is the highest among any card available in the market today. It draws about 500 watts from the wall at max load, which is definitely on the higher side, so be prepared to shell out handsomely for the monthly power bills if you’re using this card for your cryptocurrency mining needs. The bad news for those looking to buy the Radeon R9 295X2 is that you’re unlikely to find new units of the card on the open market any more. There are a few online retailers where you can find used or pre-owned versions of the card, be beware, many of them are being listed by former miners who’ve very likely used those cards extensively over the past couple years, which means even if they work alright for now, they’re probably living on borrowed time and it’s only a matter of time before they kick the bucket. 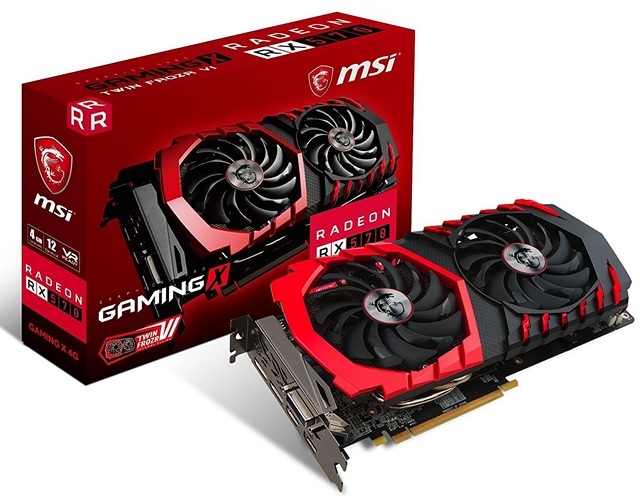 So the Radeon R9 295×2 may not be readily available, but the Nvidia GeForce GTX 1060 (6GB) and GTX 1070 (8GB) are a darn good replacements for it if you’re looking to mine Ether. There are plenty of live listings for both, so you shouldn’t really have a problem getting your hands on one. As you’d expect, the more powerful card does have a slight advantage over its more affordable counterpart in terms of raw performance. Based on recent Ether pricing, the GTX 1070 has a hash rate between 27MH/s to 36MH/s using EthOS, and has a TDP of just 150 watts. The card is priced at under $500 dollars, with prices hovering between $450-$490 depending on the make and model. 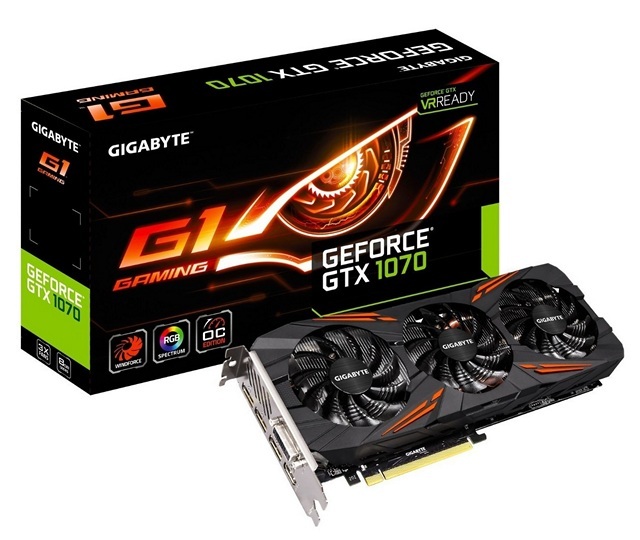 As for the GTX 1060, most of the listed models are priced well under $400, making them roughly $100 cheaper than their big brother, with slightly better power efficiency (120 watt TDP), making it a great choice for Ethereum mining. You get over 20 MH/s at DaggerHashimoto (Etherium) mining on stock frequencies, but as with its pricier counterpart, you can get a higher hash rates if you choose to overclock your cards. One thing to remember here is that the newer GTX 1080 is nowhere near as capable as either of cards discussed here, even though its got more CUDA cores and, is clocked faster than the GTX 1070 out-of-the box. By most accounts, you’ll only get around 20 MH/s with the GTX 1080 in spite of the higher power consumption and the high pricing, because according to Nvidia, the “Ethereum base code fits the GDDR5 latency characteristics better than GDDR5X”, which is what’s used by both the GTX 1080 and the 1080Ti. 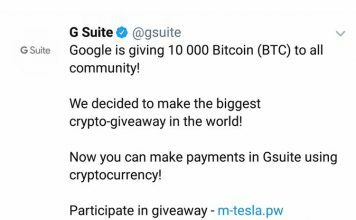 If you’re just trying to learn about cryptocurrency mining, you might not be willing to spend $500 on a card right away. In that case, the best options for you are the Radeon RX 570 and RX 580 graphics cards, both of which give you a great bang for your buck. While the 3GB Radeon RX 570 costs just over $150, the 6GB model of the Radeon RX580 costs around $250 and, gives between 26 MH/s and 29 MH/s using Claymore Dual ETH miner. The RX 580 has a TDP of 185 watts, but you can use AMD’s Radeon Wattman to get the power draw on this card to below 150 watts. It’s interesting to note that the predecessors of these cards were significantly more power efficient than these ones, while having roughly the same hash rate, but you can tweak the BIOS of these cards to extract much better hash rates with reduced power consumption. In case you do choose to go with one of these two cards, remember to buy one with Samsung memory instead of Hynix, because with memory intensive mining algorithms such as Ethash (Ethereum) or Equihash (Zcash), the Hynix memory chips tend to underperform their Samsung counterparts by a substantial margin. 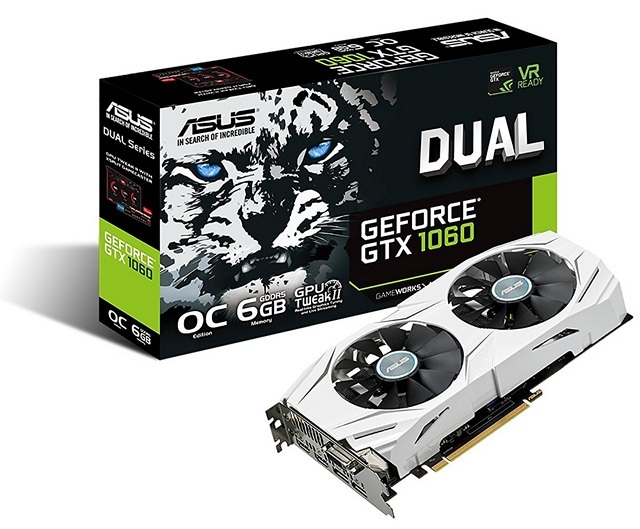 WIth GPU demand from the cryptocurrency mining community creating a video card shortage for gamers, Asus and Sapphire have recently taken the matter into their own hands and released mining-specific cards built for high hash-rates rather than visual graphics horsepower. 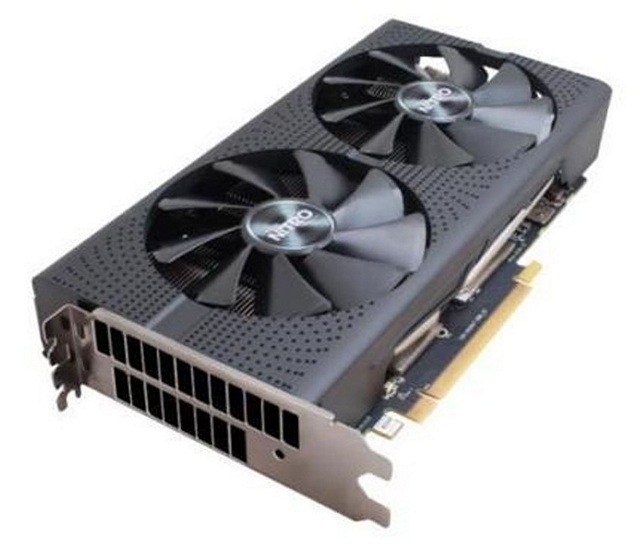 Based on NVIDIA’s GP106 Pascal GPU and AMD’s RX 470 & RX 560 Polaris silicon, the cards are marketed towards the mining community and are relatively cheaper than their gaming counterparts. Many of these cards barely have a single DVI-D output, while others actually don’t have any display output whatsoever. They do, however, have heatsinks similar to their gaming counterparts, and have fans rated for 24/7 operation. 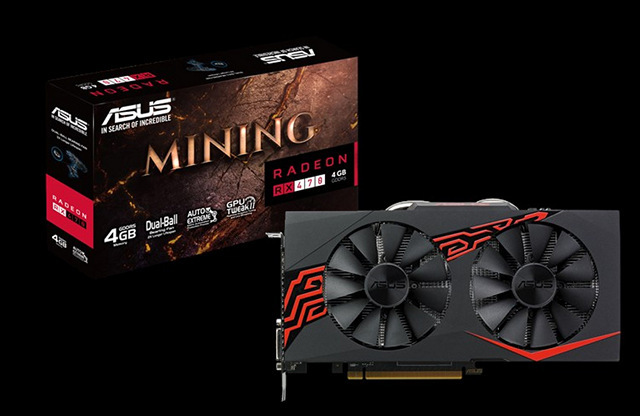 Taking a look at these mining-specific cards, Asus’s ‘MINING Series’ cards include the MINING-P106-6G and the MINING-RX-470-4G both of which use the GPU codename of GP106, rather than the NVIDIA GTX 1060 branding. Most of the cards from NVIDIA lack display outputs, while the RX 470-based offering supports only a single DVI-D output, seeing as they are intended to be run either in headless systems or with systems with integrated graphics, seeing as the last thing a miner would want to do is lose a PCI-E slot for basic graphics. 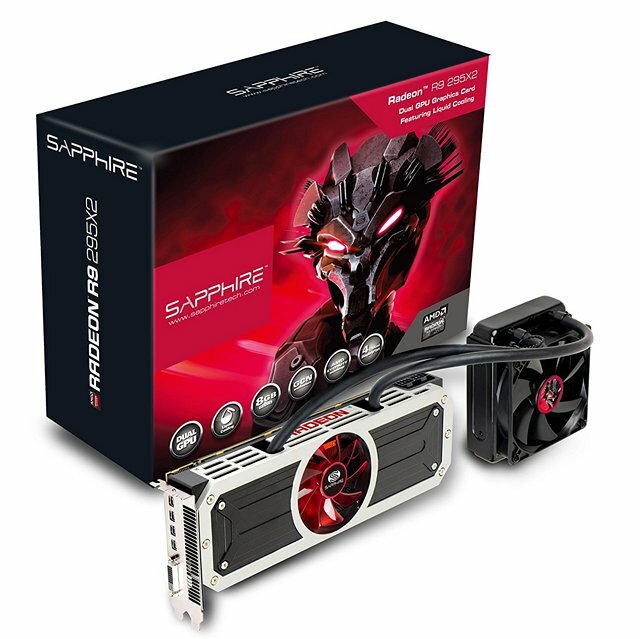 As for Sapphire, the company has released a number of Mining Edition cards based on AMD’s RX 470 GPU. 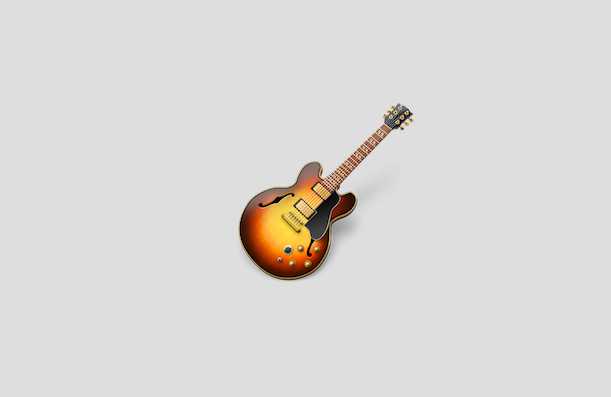 The cards are differentiated by memory manufacturer and VRAM size that ranges from 4GB to 8GB. The company has also announced an RX 560 Pulse MINING Edition card, which, unlike its RX 470 counterparts, does come with a DVI-D output, but don’t expect HDMI or any other display output from it. One thing to note here is that even though mining-specific graphics cards is a nascent category, many manufacturers are apparently betting big on it, with 3D, EVGA, MSI, Zotac, Colorful and Palit also expected to launch their own offerings in the segment in the coming weeks and months. In fact some of their products have already made an appearance online, although availability remains a bit of a concern. 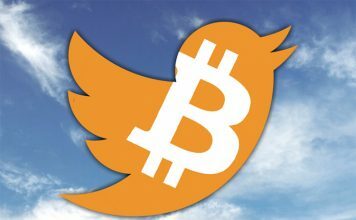 SEE ALSO: What is Bitcoin Cash and How Does it Differ From Bitcoin? 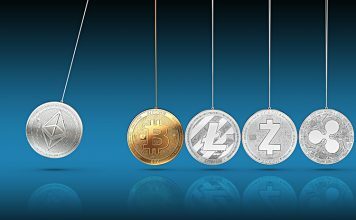 If you just want to get in on the cryptocurrency thing when its hot, you’ll need to understand that mining is not the best way to get cryptocurrency anymore. 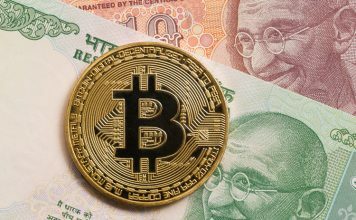 However, there is a dedicated enthusiast community that has been doing this for years, and the internet is littered with stories about how people have made millions from cryptocurrency mining over the past decade. 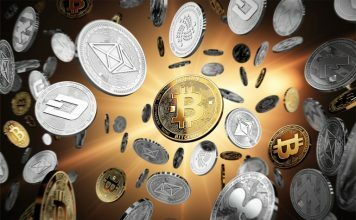 However, with mining becoming ever more competitive in recent years, the chances for you ever joining the ranks of those millionaires is now slim to none, but hobbyists are still doing it for fun, and it could still be somewhat profitable if you have access to cheap electricity, but more often than not, you’re much better off actually buying Ether (or any other cryptocurrency for that matter) from reputable exchanges, such as Coinvase, Kraken, Gemini or AlfaCashier. So go ahead, dip your toes into the mining mayhem and see what the craze is all about, but unless you’re living in places with dirt-cheap electricity like Iceland or China, cryptocurrency mining can only be about learning the process and having fun with it, and not actually making any real money off of it circa 2017. So now that you know about some of the best graphics cards for cryptocurrency mining, are you encouraged to give it a go? Or are you actually discouraged by the fact that mining for Ethereum or Bitcoins isn’t going to make you rich in the foreseeable future? 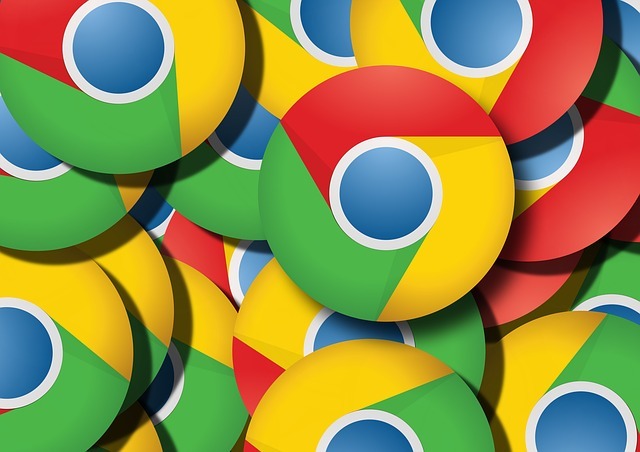 Whatever be the case, do leave your thoughts about cryptocurrency mining and its effects on the GPU industry in the comments section below, because we love hearing from you.